Poor or insufficient attention to security at the design and build stage can pose a significant risk to data, information and people once the build is completed and operational. 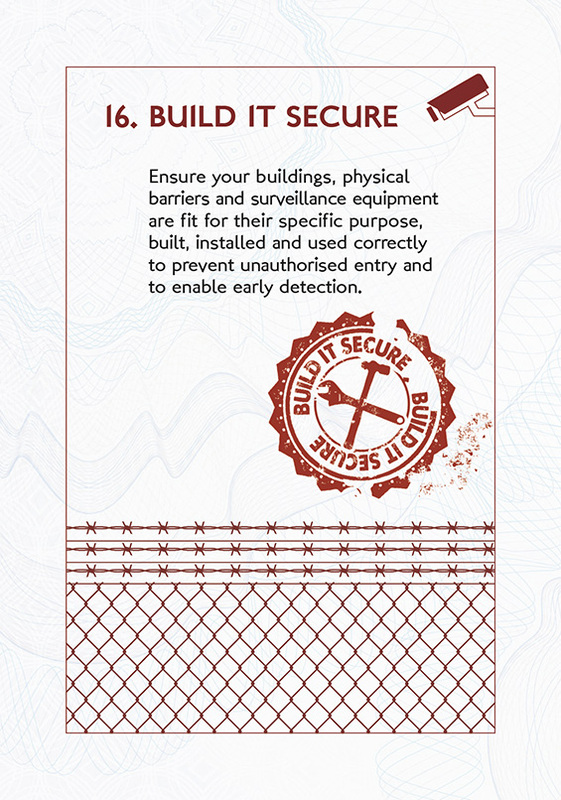 Getting protective security right at the design and planning stage is critical. When designing and planning, consider ‘layering’ your security i.e. combining layers of protective measures that would limit and deter hostile activity. Layering could include perimeter controls and guarding; building design features, and limiting, screening or otherwise controlling access. Are holistic and layered physical security measures in place to protect your assets? Are these measures at the appropriate test and installation standards? Who owns build security at senior level? Are there effective reporting lines between security managers and executive level? How regularly are build security systems inspected, tested and updated? Operational Requirements – guidance on approach to security requirements and making the business case.